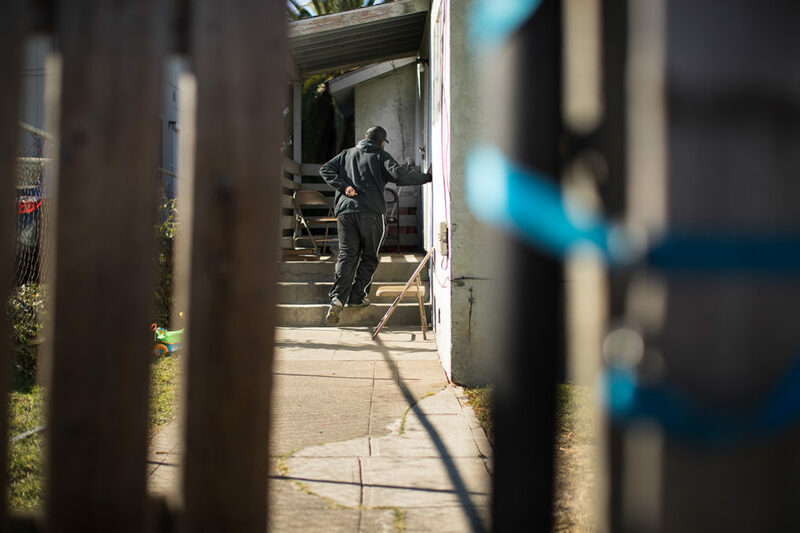 Former Tesla worker Stephon Nelson clutches his back as he climbs steps outside his girlfriend's home in Oakland, Calif. He was injured in August while working in the trunk of a Model X. Something slipped and its hatchback crunched down on his back. An investigation by Reveal in April showed that Tesla prioritized style and speed over safety, undercounted injuries and ignored the concerns of its own safety professionals. CEO Elon Musk’s distaste for the color yellow and beeping forklifts eroded factory safety, former safety team members said. The new revelations about the on-site clinic show that even as the company forcefully pushed back against Reveal’s reporting, behind the scenes, it doubled down on its efforts to hide serious injuries from the government and public. In June, Tesla hired a new company, Access Omnicare, to run its factory health center after the company promised Tesla it could help reduce the number of recordable injuries and emergency room visits, according to records. 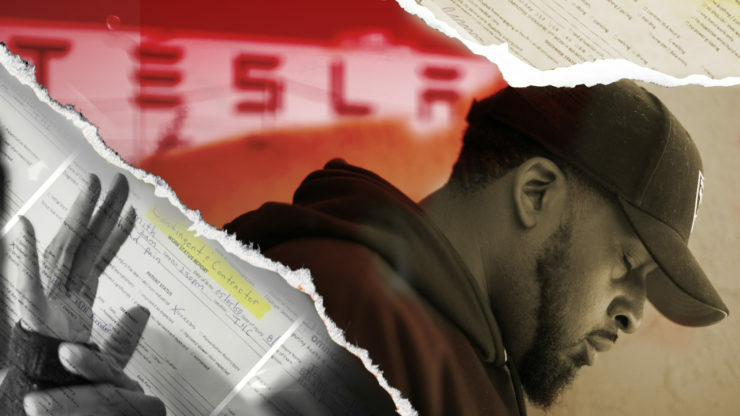 A former high-level Access Omnicare employee said Tesla pressured the clinic’s owner, who then made his staff dismiss injuries as minor or not related to work. “It was bullying and pressuring to do things people didn’t believe were correct,” said the former employee, whom Reveal granted anonymity because of the worker’s fear of being blackballed in the industry. Dr. Basil Besh, the Fremont, California, hand surgeon who owns Access Omnicare, said the clinic drives down Tesla’s injury count with more accurate diagnoses, not because of pressure from Tesla. Injured workers, he said, don’t always understand what’s best for them. Yet at one point, Watson said a Tesla lawyer and a company safety official told her and other clinic staff to stop prescribing exercises to injured workers so they wouldn’t have to count the injuries. Recommending stretches to treat an injured back or range-of-motion exercises for an injured shoulder was no longer allowed, she said. Tesla declined interview requests for this story and said it had no comment in response to detailed questions. But after Reveal pressed the company for answers, Tesla officials took time on their October earnings call to enthusiastically praise the clinic. “I’m really super happy with the care they’re giving, and I think the employees are as well,” said Laurie Shelby, Tesla’s vice president for environment, health and safety. Back in June, on stage at Tesla’s shareholder meeting, Musk announced a declining injury rate for his electric car factory. “This is a super important thing to me because we obviously owe a great debt to the people who are building the car. 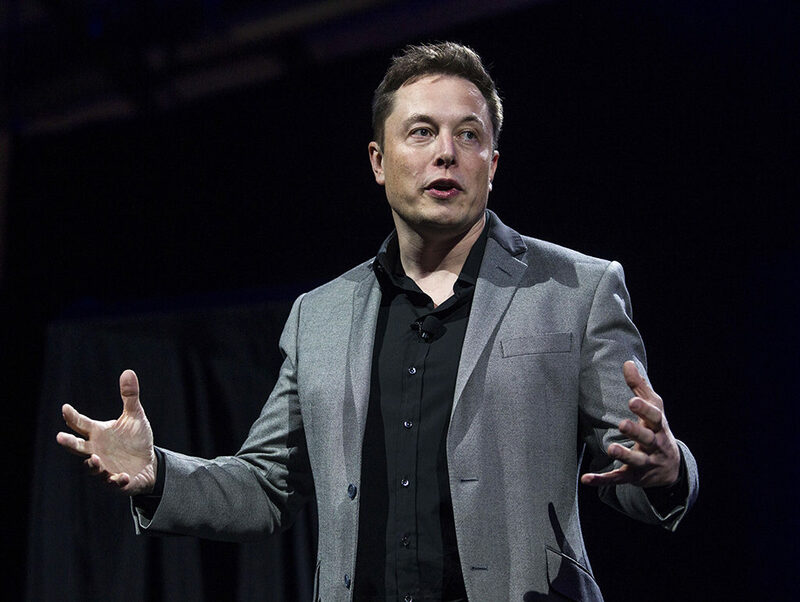 I really care about this issue,” Musk said to applause. It wasn’t long after that that Stephon Nelson joined the company. Working the overnight shift Aug. 13, Nelson got a sudden introduction to Tesla’s new model of care. He was bent over putting caulk inside the trunk of a Model X. Something slipped and the hatchback crunched down on his back. Nelson froze up in agonizing pain. He had deep red bruises across his back. “I couldn’t walk, I couldn’t sit down. 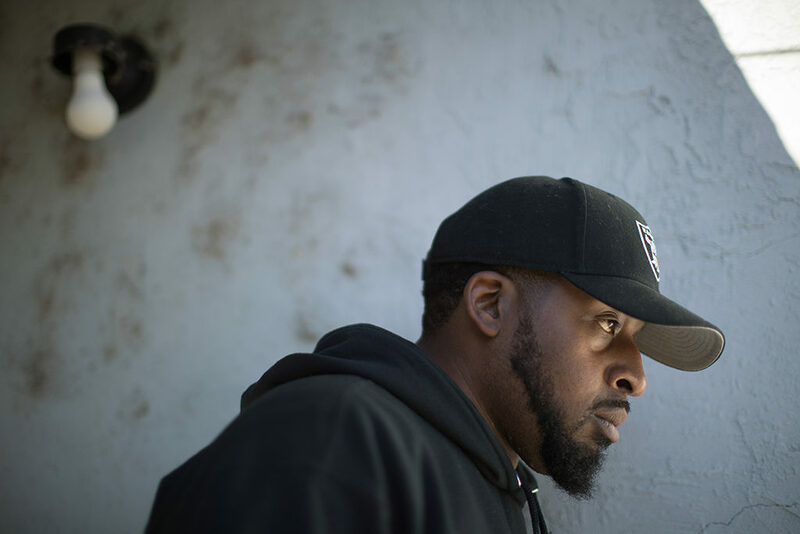 I couldn’t even stand up straight,” said Nelson, who’s 30 and used to play semiprofessional football. He asked for an ambulance, but the on-call Tesla doctor said no – he could take a Lyft to the hospital instead. No one was allowed to call 911 without a doctor’s permission, said Watson and two medical assistants who used to work at the clinic under Besh’s direction. Anyone who did so would get in trouble, they said. “There was a strong push not to send anybody in an ambulance,” Watson said. The system was especially problematic on the night shift, as the factory continued churning out vehicles around the clock, but there were no doctors or nurses around, former employees said. Two medical assistants who used to work there said they often were left on their own – one on duty at a time – and struggled to tend to all the injured. Both had to do things such as take vital signs, which medical assistants aren’t allowed to do without on-site supervision, according to the Medical Board of California. Reveal granted them anonymity because they fear speaking out will hurt their careers. Besh said no one works alone. For a severely injured worker lying on the assembly line, it could take 10 to 15 minutes for a medical assistant to arrive and then contact on-call doctors, a medical assistant said. Getting a code for Tesla’s Lyft account was a drawn-out process that could take hours, she said. The medical assistants said they were alarmed and uncomfortable with the doctors’ orders to use Lyft because they worried some patients could pass out or need help en route. One worker directed to take a Lyft was light-headed and dizzy. Another had his fingers badly broken, contorted and mangled. Besh, who often serves as the on-call doctor, said anyone could call 911 in a life-threatening situation. He said he recommends using Lyft for workers who don’t need advanced life support. Besh gave the example of a worker who had the top of his finger cut off. He needed to go to the hospital, but not by ambulance, Besh said. He likened the situation to people at home who get a ride to the hospital instead of calling an ambulance. It’s a doctor’s judgment call to use Lyft, but many on the factory floor found it inhumane. In some cases, including the worker with an amputated fingertip, factory supervisors refused to put their employees in a Lyft and instead drove them to the hospital, according to a medical assistant. In Nelson’s case, he called his girlfriend to take him to the hospital. But he said his supervisor told him that he had to show up for work the next day or Nelson would get in trouble. Nelson needed the job, so he forced himself to come in. He shuffled slowly, hunched over in pain, to his department, he said. When it was clear he couldn’t do the job, he was sent to the Tesla health center, a small clinic on an upper level of the factory. Workers too injured to do their regular jobs are supposed to receive job restrictions and a modified assignment that won’t make the injury worse. But the health center wouldn’t give Nelson any accommodations. He could go home that day, but he had to report to work full duty the following day, he said. A medical assistant who formerly worked at the clinic remembered an employee who was sent back to work even though he couldn’t stand on one of his feet. Another employee passed out face down on the assembly line – then went back to work. “You always put back to full duty, no matter what,” said the medical assistant. Dr. Basil Besh said patients are given work restrictions when appropriate. He said those hurt at night get first aid and triage, followed by an accurate diagnosis from a physician the next day. Four days after Nelson’s injury, Watson herself sent him back to work with no restrictions, according to medical records he provided. Nelson said this happened repeatedly as he hobbled in pain. But Watson did what she could to help: She referred him to Access Omnicare’s main clinic, about 5 miles from the auto factory. It was allowed to give work restrictions, Watson said. But most workers aren’t sent there, and it can take a while to get an appointment. “And I’m rocking back and forth, just ready to fall out of the wheelchair because I’m in so much pain,” he said. In September, Nelson got a warehouse job at another company. It was a pay cut, but he quit Tesla right away. “I feel like it’s really not safe at all,” he said. Besh was named chairman of the American Academy of Orthopaedic Surgeons’ Board of Councilors this year. A Tesla spokeswoman set up and monitored his interview with Reveal. There’s been a “culture shift” at the health center since Tesla hired him to take over, he said. In the end, Tesla counted Nelson on its injury logs, which is how Reveal identified him. That’s another reason the system didn’t make sense to Watson: Some workers whose injuries were so serious that they eventually would have to be counted still were denied proper care when they needed it most, she said. Many more injured workers never were counted, she said. Tesla’s official injury logs, provided to Reveal by a former employee, show 48 injuries in August. Watson reviewed the list for the three weeks she was there and estimated that more than twice as many injuries should have been counted if Tesla had provided appropriate care and counted accurately. The clinic seemed geared toward sending workers away instead of treating them, Watson said. The culture of the clinic, she said, was to discount workers’ complaints and assume they were exaggerating. The clinic would look for reasons to dismiss injuries as not work-related, even when they seemed to be, former employees said. Watson recalled one worker who had passed out on the job and went to the hospital because of her exposure to fumes in the factory. Even though a work-related loss of consciousness is required to be counted, no such injury was recorded on Tesla’s injury logs. Temp workers hurt on the production line also were often rebuffed by the clinic, said former clinic employees. At one point, there was a blanket policy to turn away temps, they said. 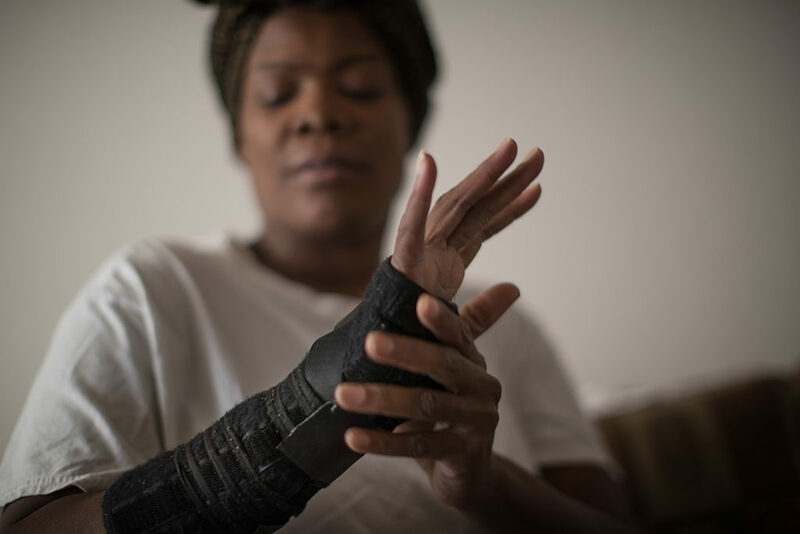 Tracy Lee developed a repetitive stress injury over the summer when a machine broke and she had to lift car parts by hand, she said. Lee said the health center sent her away without evaluating her because she wasn’t a permanent employee. By law, Tesla is required to record injuries of temp workers who work under its supervision, no matter where they get treatment. But not all of them were. Lee said her Tesla supervisor knew about the injury. But Lee’s name doesn’t appear on Tesla’s injury logs. Besh pushed back on the claims of his former employees. He said the clinic didn’t treat some temp workers because Access Omnicare wasn’t a designated health care provider for their staffing agencies. About half of the agencies now are able to use the clinic, and the rest should be early next year, he said. Besh said a physician accurately and carefully determines whether an injury is work-related and the clinic is not set up to treat personal medical issues. He said the clinic is fully stocked. 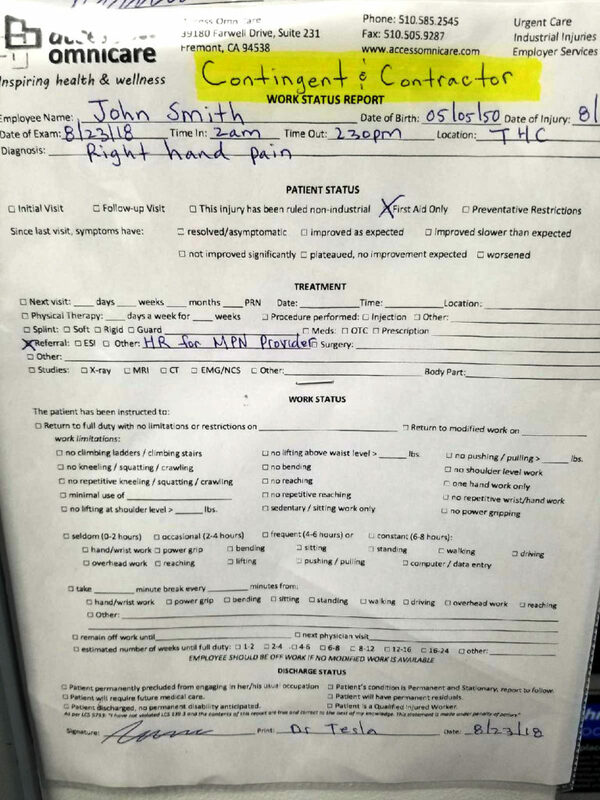 As for prescribing exercises, Besh said the clinic automatically was giving exercise recommendations to workers who were not injured and simply fixed the error. Access Omnicare’s proposal for running Tesla’s health center states that Tesla’s priorities include reducing recordable injuries and emergency room visits, according to a copy obtained by Reveal. Even before Access Omnicare took over the on-site health center in June, Tesla sent many injured workers to its main clinic as one of the automaker’s preferred providers. Tesla exercised an alarming amount of pressure on the clinic to alter how it treated patients in order to keep injury rates down, said the former high-level Access Omnicare employee. “There was a huge, huge push from Tesla to keep things nonrecordable,” said the former employee. A Tesla workers’ compensation official routinely would contact the clinic to intervene in individual cases, said the former employee. 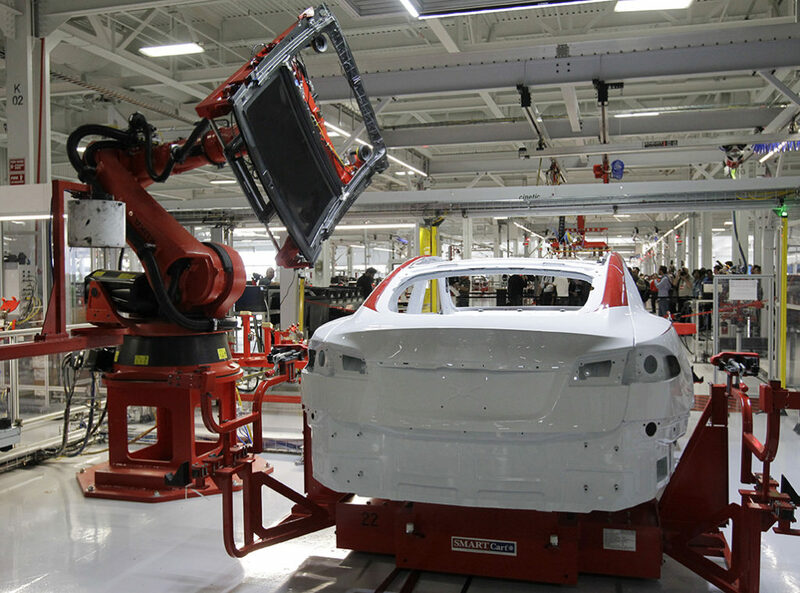 Tesla would take issue with diagnoses and treatment decisions, arguing that specific workers should be sent back to work full duty or have their injuries labeled as unrelated to work. 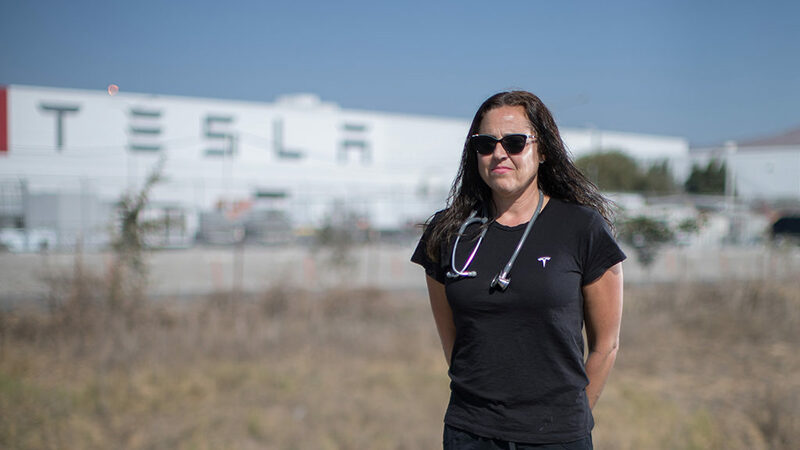 The clinic gave Tesla what it wanted, the former employee said. For example, Bill Casillas’ diagnosis suddenly was changed by Access Omnicare after discussions with Tesla. In December, Casillas was working in Tesla’s seat factory. When he touched a forklift, he felt an electric shock jolt him back. Later that shift, it happened again. He said he felt disoriented and found he had urinated on himself. Casillas said he hasn’t been the same since. He struggles with pain, tingling and numbness. At 47, he’s unsteady, uses a cane and hasn’t been able to work, he said. 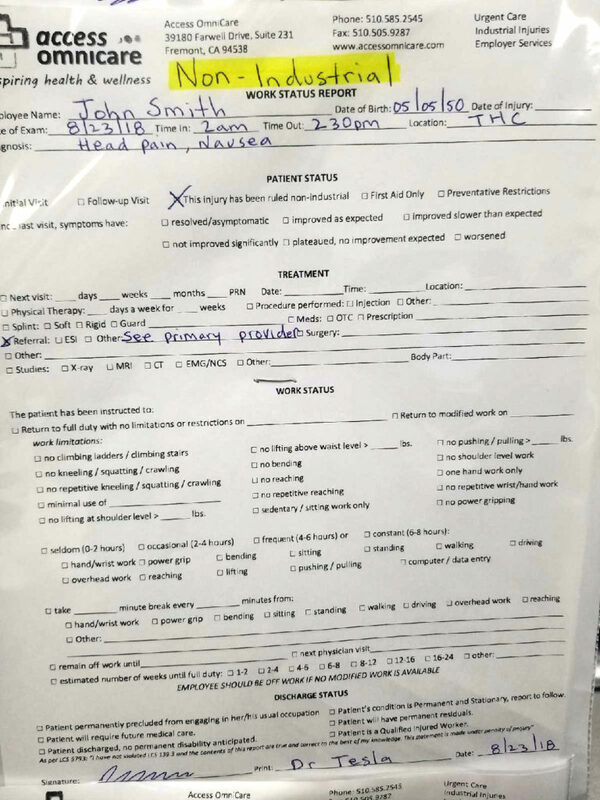 A doctor at Access Omnicare diagnosed a work-related “injury due to electrical exposure” and gave him severe work restrictions and physical therapy, medical records show. Then, nearly two months after his injury, another Access Omnicare physician, Dr. Muhannad Hafi, stepped in and dismissed the injury. “I have spoken again with (the workers’ compensation official) at Tesla and he informed that the forklift did not have electric current running. With that said, in my medical opinion, the patient does not have an industrial injury attributed to an electrical current,” he wrote. Hafi, who’s no longer with Access Omnicare, didn’t respond to questions. Besh said he can’t discuss patient details. A Tesla safety team manager informed Casillas last month that his injury was not counted because it was “determined to not be work-related.” Casillas is still a Tesla employee, but he’s off work because of his injury. His workers’ comp claim was denied based on Hafi’s report, but his lawyer, Sue Borg, is seeking an independent medical evaluation. Besh said Tesla does not pressure him to dismiss injuries. By late August, Watson, the physician assistant, reached her breaking point. She got into an argument with Besh, who fired her for not deferring to doctors. Afterward, she filed a complaint to Cal/OSHA, California’s workplace safety agency. Watson thought Cal/OSHA would put an immediate stop to the practices she witnessed. But the agency wasn’t interested. Cal/OSHA sent her a letter saying it folded her complaint into the investigation it started in April after Reveal’s first story ran. The letter said it had investigated and cited Tesla for a recordkeeping violation. But Cal/OSHA already had closed that investigation two weeks before Watson’s complaint. The agency issued a fine of $400 for a single injury it said was not recorded within the required time period. Tesla appealed, calling it an administrative error. Reveal had documented many other cases of injuries that Tesla had failed to record. But the agency had only about six months from the date of an injury to fine a company. By the time Cal/OSHA concluded its four-month investigation, the statute of limitations had run out. After Reveal reported that the time limitation makes it difficult to hold employers accountable, state legislators passed a bill giving investigators six months from when Cal/OSHA first learns of the violation. It was signed by Gov. Jerry Brown, but it was too late for the Tesla investigation. 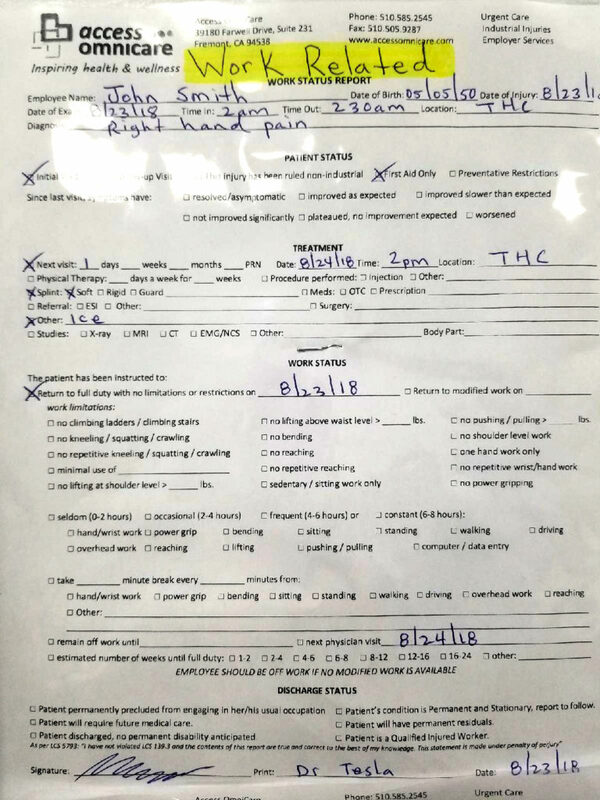 A Cal/OSHA spokeswoman said the investigation found four other “injury recording violations that fell outside of the statute of limitations.” Even if those other violations had been included, the spokeswoman said Cal/OSHA would have had to combine them in a single $400 citation. Tesla, meanwhile, inaccurately cites Cal/OSHA’s investigation as vindication. Watson called Cal/OSHA officials to insist they investigate her complaint. She told them that she had detailed knowledge of a system that undercounted injuries by failing to treat injured workers. But Cal/OSHA officials told her that it wasn’t the agency’s responsibility, she said. They suggested contacting another agency, such as the medical board or workers’ compensation regulators. As Watson kept pushing and Reveal began asking questions, a Cal/OSHA spokeswoman said her complaint now is being investigated. Watson has a new job at an urgent care clinic. She said she just wants someone to make sure that Tesla workers get the care they need. This story was edited by Ziva Branstetter and Andrew Donohue copy edited by Nikki Frick.